Providence is the largest city in all of Rhode Island. It has over 177,000 people and great tourist attractions. When people travel to a town, they want to have fun and see family or friends. Once things start going, they usually end up in a bar or restaurant. So what happens after that? Well, a lot of people would love to remember but end up in a holding cell in the morning with a DUI. So what can you do when you find yourself in the same situation? Do you know what you can do when you get a DUI? Do you know the penalties? The fact is that when you get arrested for a DUI, you best option is to contact a Providence DUI Lawyer to help you through the situation. At the Law Office of Susan T. Perkins, we are more than equipped to assist anyone who is arrested for a DUI. We have a team of talented of attorneys. In our office we will be able to handle the crimes that usually accompany DUI as well. Our Providence DUI Lawyer will be able to assist you with theft, drug, assault, and other charges that usually go hand in hand with being drunk. If you are arrested for a DUI, you have to keep many things in mind including the penalties. Without the assistance of a Providence DUI Lawyer if you are convicted of a first offense DUI you will face penalties. You may face up to a year in jail, $100-$500 in fines, and license suspension for 2 to 18 months. If you are arrested for a second offense DUI you will face a minimum of 10 days to a year in jail, $400-$1000 in fines, 1 to 2 years of license suspension, and mandatory IID. A third offense of being arrested for a DUI In Rhode Island means 1 to 5 years in jail, $400-$5000 in fines, a minimum of two years of license suspension, and mandatory IID. As you can tell DUI is not a laughing matter and must be taken very seriously. When you begin your search for a Providence DUI Lawyer, you are looking for someone who is going to protect your future. At the Law Office of Susan T. Perkins we are ready and available to assist you from your DUI charges. 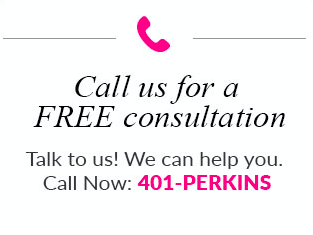 If you would like to contact us we are available at anytime at 401-PERKINS.